These terms and conditions of sale (“Terms and Conditions”) relate to certain goods and services provided (“Products”) by Bracke Manufacturing, LLC, a California limited liability company, (“Company”) to the purchaser of such goods and services (“Customer”). Any additional or different terms, including but not limited to those on Customer’s purchase order, are hereby objected to and specifically rejected by Company. All amounts payable to Company shall be in US dollars, including all applicable taxes, fees, transportation, insurance, and other charges. Company will invoice Customer for each shipment. If all Products in Customer’s purchase order are not shipped at the same time, Company will invoice Customer at the time of shipment for the products that are shipped. All payments in US dollars, are due net 30 calendar days after the date of invoice unless otherwise mutually agreed. Any unpaid due amounts will be subject to interest at 1.5% per month or the highest rate permitted by law, whichever is less. Any returned checks are subject to a $20 fee. Should any action be necessary to recover any sum due to Company from Customer, Company shall be entitled to recover costs of such action including reasonable attorneys’ fees whether or not incurred in connection with issues of federal bankruptcy law. Shipping allowances and prices are subject to change without notice. Company cannot guarantee the pricing set forth in this catalog or on the Company website. The Company is not responsible for any typographical errors contained therein. Company retains title to all Products until Company receives full payment. Customer is responsible for any loss or damage to the Products until Company receives full payment. If Customer does not make payment in accordance with the terms of the payment specified or if the Company has any doubt as to the Customer’s financial responsibility, Company may, at its option, (i) cancel the purchase order or (ii) refuse to perform any further work under the purchase order unless Customer immediately pays for all Products that have been delivered and pays in advance for all Products to be delivered. Any remedies contained in this Section 1 shall be in addition to any remedies available at equity or law. All Product orders are subject to written acceptance by Company by a duly authorized agent of Company. Orders accepted and processed by Company are Non-Cancelable and Non-Refundable without exception. ALL SALES ARE FINAL. All Products are covered by a Limited Warranty for a period of 90 days from the date of purchase which applies to defective Products only. COMPANY EXPRESSLY DISCLAIMS ALL OTHER WARRANTIES OF ANY KIND, WHETHER EXPRESS OR IMPLIED, INCLUDING, BUT NOT LIMITED TO, IMPLIED WARRANTIES OF MERCHANTABILITY AND FITNESS FOR A PARTICULAR PURPOSE. Company will only accept the return of defective Products. Such returns must be pre-approved by Company in writing and an RMA (Return Material Authorization) number must be issued by Company before Company will accept such return. Return shipments not pre-approved by Company will be refused. Company will inspect pre-approved returns to determine whether they are defective, which determination by Company is final. Products must be returned in the same or equivalent container and packaging materials in which they were originally shipped. Customer retains title to any Products returned. Return freight cost is the responsibility of Customer. If Company determines a Product is defective, it may repair or replace the defective Product. 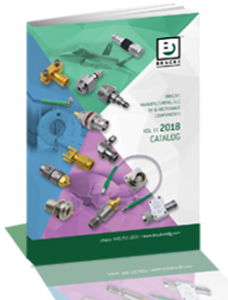 All coaxial cable assemblies displayed in the Company catalog and website have a standard cable length tolerance of ± 1.5% or 3/8 inch, whichever is greater. Cable assemblies in excess of this tolerance factor are eligible for repair and/or replacement under the terms of the Limited Warranty set forth above. COMPANY’S LIABILITY ON ANY CLAIM OF ANY KIND, INCLUDING NEGLIGENCE, FOR ANY LOSS OR DAMAGE ARISING OUT OF, CONNECTED WITH, OR RESULTING FROM THE MANUFACTURE, SALE, DELIVERY, RESALE, REPAIR OR USE OF ANY PRODUCTS COVERED BY OR FURNISHED HEREUNDER, SHALL IN NO CASE EXCEED THE LESSER OF THE COST OF REPAIRING OR REPLACING PRODUCTS FAILING TO CONFORM TO THE WARRANTIES CONTAINED HEREIN, IF ANY, OR THE PRICE OF THE PRODUCTS OR PART THEREOF WHICH GIVES RISE TO THE CLAIM. IN NO EVENT WILL COMPANY BE LIABLE FOR ANY DIRECT, INDIRECT, INCIDENTAL, SPECIAL OR CONTINGENT DAMAGES, INCLUDING, BUT NOT LIMITED TO, DAMAGES FOR LOSS OF PROFITS, GOODWILL, USE OR OTHER INTANGIBLE LOSS (EVEN IF COMPANY HAS BEEN ADVISED OF THE POSSIBILITY OF SUCH DAMAGES), RESULTING FROM: (I) THE USE OR THE INABILITY TO USE PRODUCTS PURCHASED FROM COMPANY; (II) THE COST OF PROCUREMENT OF SUBSTITUTE PRODUCTS RESULTING FROM ANY PRODUCTS PURCHASED OR OBTAINED FROM COMPANY; OR (III) ANY OTHER MATTER RELATING TO PRODUCTS PURCHASED FROM COMPANY. If Customer’s order is placed under a contract with the United States Government, Company agrees to comply with those contract provisions and regulations with which, pursuant to law, it must comply and of which Customer has, at the time of order placement, placed Company on notice. In no event will United States Government Cost Accounting Standards apply. No provision of Customer’s contract with the government will be binding on Company except as expressly set forth in this paragraph. Customer agrees to defend and indemnify Company and its officers, directors, agents and employees of and from any and all claims or liabilities asserted against Company or its officers, directors, agents and employees in connection with the manufacture, sale, delivery resale or repair or use of any Products covered by or furnished hereunder arising in whole or in part out of or by reason of (a) the failure of Customer, its agents, servants, employees or customers to follow instructions, warnings or recommendations furnished by Company in connection with such Products, (b) the failure of Customer, its agents, servants, employees or customers to comply with all federal, state and local laws applicable to such goods, or the use thereof, including the Occupational Safety and Health Act of 1970, (c) the negligence of Customer, its agents, servants, employees or customers, or (d) any defect, including but not limited to defects in the manufacture or design, of any Products produced, manufactured, distributed, sold, resold, repaired or used by Customer or its agents, servants, employees or customers. All prices are exclusive of all taxes and import or export duties, imposed by any city, state, federal or other government authority. Liability for all taxes and import or export duties shall be assumed and paid by Customer. Customer further agrees to defend and indemnify Company against any and all liabilities for such taxes or duties and legal fees or costs incurred by Company in connection therewith. Any Customer that is located in California must remit sales tax with any purchase order unless a valid California Resale Certificate has been provided. Upon request, Company in its sole and absolute discretion may furnish as an accommodation to Customer such technical advice or assistance as is available in reference to the Products. Company assumes no obligation or liability for the advice or assistance given or results obtained, all such advice or assistance being given and accepted at Customer’s sole risk. All designs, data, drawings, software, or other technical information supplied by Company to Customer in connection with the sale of Products shall remain Company’s sole property. All specifications, drawings, designs, data, information, ideas, methods, patterns, and/or inventions, made, conceived, developed, or acquired by Company, incident to procuring and/or carrying out the delivery of Products to Customer will vest in and inure to Company’s sole benefit. Customer agrees that it will not use in any way Company’s trademarks and trade names, and it will not publish, or cause to be published any statement, or encourage or approve any advertising or practice, which may be detrimental to the good name, trademarks, goodwill or reputation of Company or the Products. Company shall not be liable for delays in delivery or failure to manufacture or deliver due to causes beyond its reasonable control, including but not limited to acts of God, acts of Customer, acts of military or civil authorities, fires, strikes, flood, epidemic, war, riot, accident, delays in transportation, or inability to obtain necessary labor, materials, components or services through Company’s usual and regular sources at usual and regular prices. Customer shall not, directly or indirectly, export, re-export, transfer, furnish or ship Products in violation of any applicable export control laws or regulations of any country having jurisdiction over the Products, including any and all US law or US Government export controls. Customer agrees, at Customer’s own expense, to comply with all applicable export laws and will, in accordance with the indemnification provisions of these Terms and Conditions, indemnify, defend and hold Company harmless from any claim against Company due to Customer’s violation or alleged violation of any export laws. All Product purchases and these Terms and Conditions are governed by the laws of the State of California without reference to conflict of law principles. The federal and state courts within Orange County, California will have exclusive jurisdiction to adjudicate any dispute arising out of these Terms and Conditions, or the purchase, sale and usage of any Products. Each provision of these Terms and Conditions is severable from any and all other provisions of these Terms and Conditions. In the event that any provision of these Terms and Conditions is held to be invalid, the other provisions shall continue in force and effect, and the offending provision, to the extent practicable, shall be reformed so as to achieve its intended purpose. The provisions of these Terms and Conditions that, by their essence and context, are intended to survive performance by either or both parties shall also survive the completion, expiration, termination or cancellation of the purchase order. This agreement constitutes the entire contract between Customer and Company relating to the Products identified herein. No modifications hereof shall be binding upon Company unless in writing and signed by Company’s duly authorized representative, and no modification shall be effected by Company’s acknowledgment or acceptance of Customer’s purchase order forms containing different provisions. These Terms and Conditions shall solely and exclusively apply to all sales of Products and shall NOT be revised, modified or overridden by any terms or conditions contained in any Customer purchase order or other documentation or communication. Trade usage shall neither be applicable nor relevant to these Terms and Conditions, nor be used in any manner whatsoever to explain, qualify or supplement any of the provisions hereof. No waiver by either party of default shall be deemed a waiver of any subsequent default. 17. Specifications on all products are subject to change without notice.